Rosa Smith is the Children’s Director at Fairfield Glade (FFG) FBC in Fairfield Glade, Tennessee. The following includes Mrs. Rosa’s experience and comments after Infinity Sports camp that was hosted at FFGFBC. “[After camp], I had parent’s tell me how much of a difference they see in the life of their child. I have physician’s want to know what therapy group their patient attended. There has been such a difference in lives of these children! 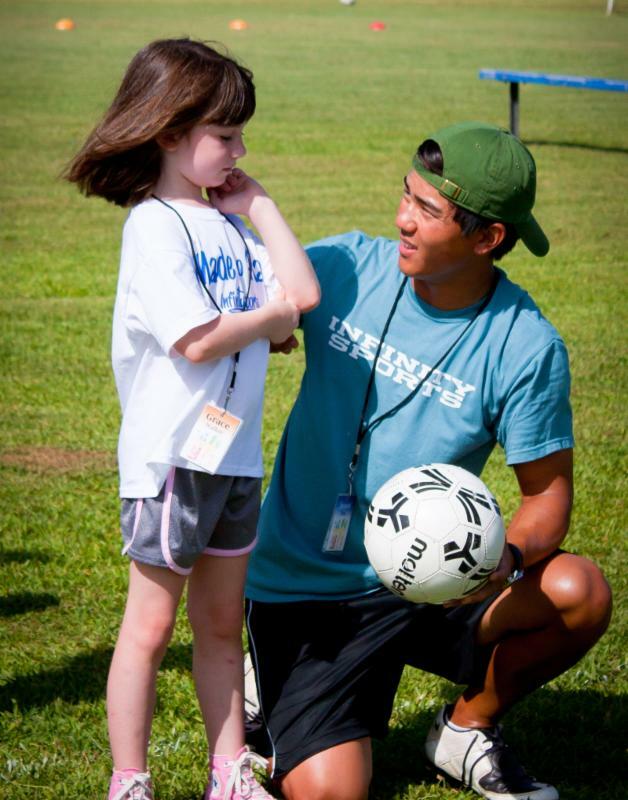 Others want to experience what these children have experienced through Infinity Sports…” Click HERE to read more! Read the following article from Changing The Game Project to find out why we are losing our young athletes in sports and how Video games play a role in that. Here are some thoughts on why children Walk Away from their faith when they get older. Ephesians 4:5 says“to make best us of the time we have.” Redeeming the time; that is, either “improving every opportunity of doing them good, and making the best use of your time in proper duty.” In sports and other ways we teach young people, we can waste precious time. Click Here for some ideas to make the most of the time we have with them. If your church is interested in hosting a week-long Spots Camp experience, please contact us.